Connecting your site to the rest of the web. Just as it can pay to have "friends in high places," websites can benefit when search engines think that such websites are more relevant to searches when the websites in question have essentially online references commonly referred to as "backlinks." A backlink is a hyperlink posted on another website that is directed to your website. Many search engines treat quality backlinks from major organizations as endorsements. The more backlinks that your website receives from other websites, the more likely your website will be to appear on the first page of prominent keyword search results. A successful search engine optimization (SEO) strategy will need to incorporate several key performance indicators (KPIs) relating to effective link building. Just as quality backlinks can improve search engine results pages (SERPs), links from unfavorable website can tremendously damage your online identity. Are you struggling to secure quality backlinks to your company's website? SERP Matrix provides quality link building services so you can be assured that only trusted and respected organizations are providing backlinks to your business. SERP Matrix evaluates numerous KPIs to insure that a cost-effective link building strategy that delivers tangible results. You can have us tell you more about what we could do for your company as soon as you call (713) 287-1134 today. Which kinds of websites do you want to get backlinks from? How else do you build links to your website? Before you can seek backlinks, you have to identify the best possible link building opportunities. 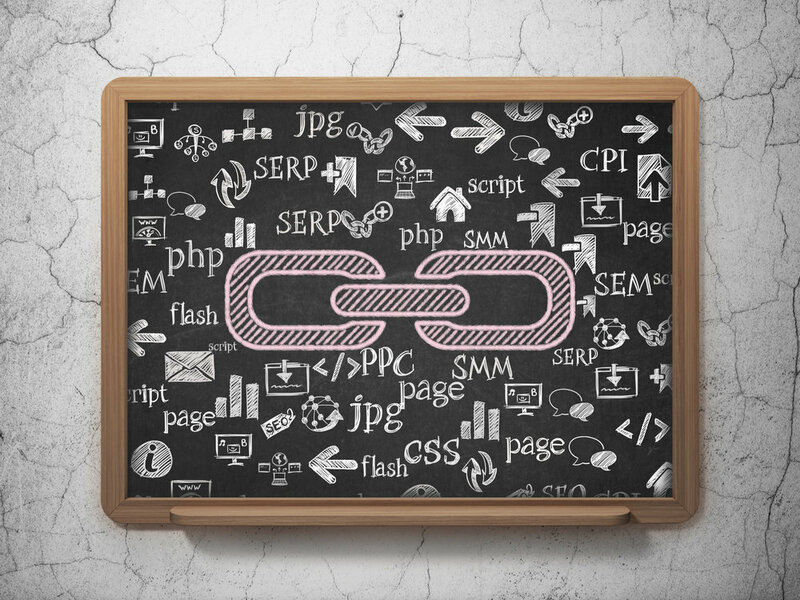 Links that are later deemed bad can have harmful effects on SEO campaigns and create unnecessary work. Before you begin implanting any kind of link building strategy, you will want to have an intensive audit conducted on your existing website. SEO audits will uncover and correct bad hyperlinks. For example, an audit can help uncover HTTP 404 Not Found Error a user encounters when the webpage he or she was trying to reach could not be found on the server. In such cases, SERP Matrix can use a HTTP response status code 301 Moved Permanently for permanent URL redirection to another relevant page on your website (or your homepage). Additionally, any complete audit will also need to examine a website's existing internal links. While internal links can certainly be much easier to create than backlinks, they still must be employed wisely in order to have a positive impact. Contacting webmasters for backlinks is but one way to create links to your website. SERP Matrix can identify and implement numerous other strategies to secure beneficial backlinks. While some companies pay for backlinks, major search engines actively seek to identify and punish websites that purchase paid links. In many cases, existing clients can be terrific sources of trustworthy backlinks to a company's website. As social media continues to increase in popularity, creating viral content is another surefire way to secure multiple backlinks. Companies can create blog posts that not only can be shared on social media platforms, but also links to the company website. If your company's website needs assistance with a link building strategy, you will want to contact SERP Matrix right away. We will help your website earn quality backlinks form authoritative sources. SERP Matrix provides link building services for companies of all sizes in industries of all kinds. Let us help you understand what we could do for you when you call (713) 287-1134 for a free consultation.